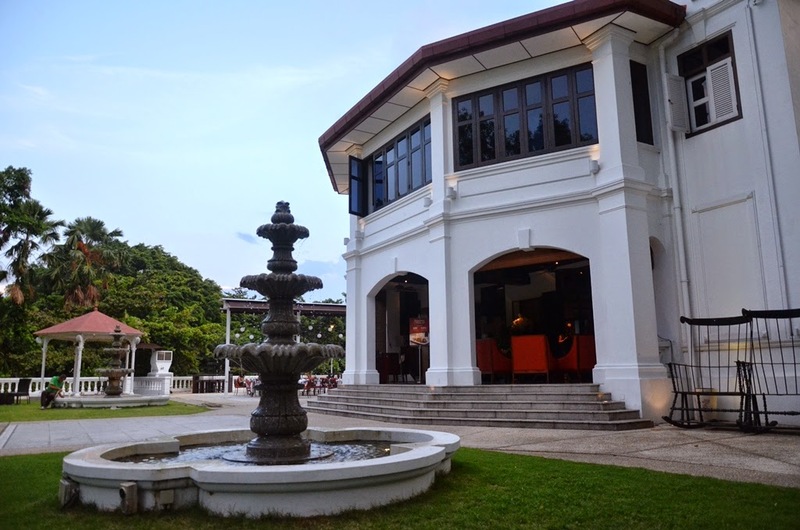 A 19th century Tudor style mansion perched atop Telok Blangah Hill, Alkaff Mansion was a weekend retreat bungalow for the Yemeni Alkaff family of spice traders. 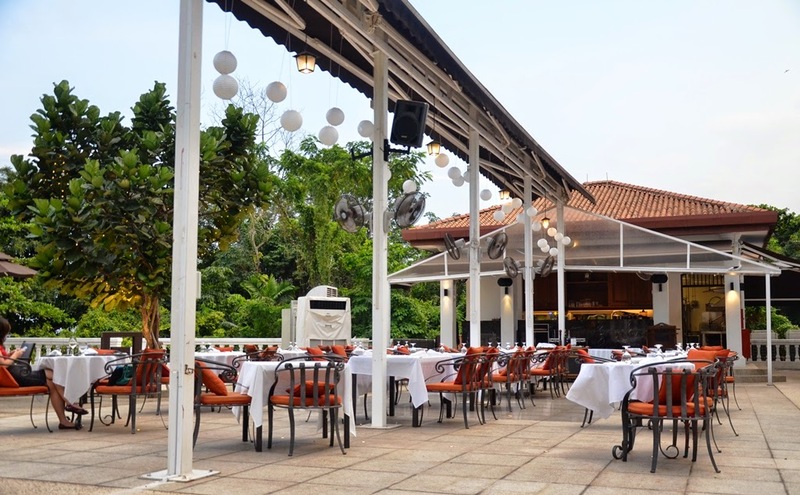 Known for hosting high society parties in the 1930s, the mansion has been passed through many hands before its current lease of life as an Italian restaurant led by Executive Chef, Simone Depalmas. With two decades of culinary experience, the Sardinian native Chef Depalmas introduces an authentic Italian flair to his creations with specially imported produce from his home province. In order to ensure diners a quality meal, Chef Depalmas makes his sauces from scratch to retain the most natural flavours. 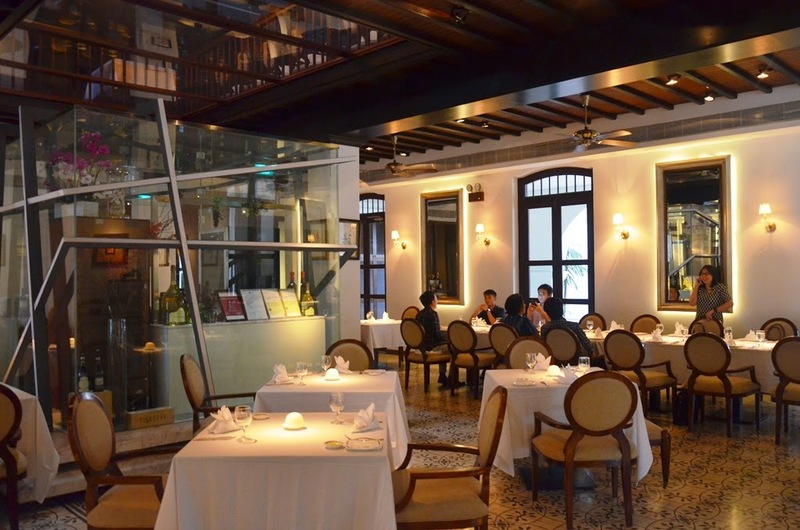 Having received a S$5 million investment from LHN Culinary Concepts to refurbish the iconic heritage mansion, can we expect some calories worthy food? 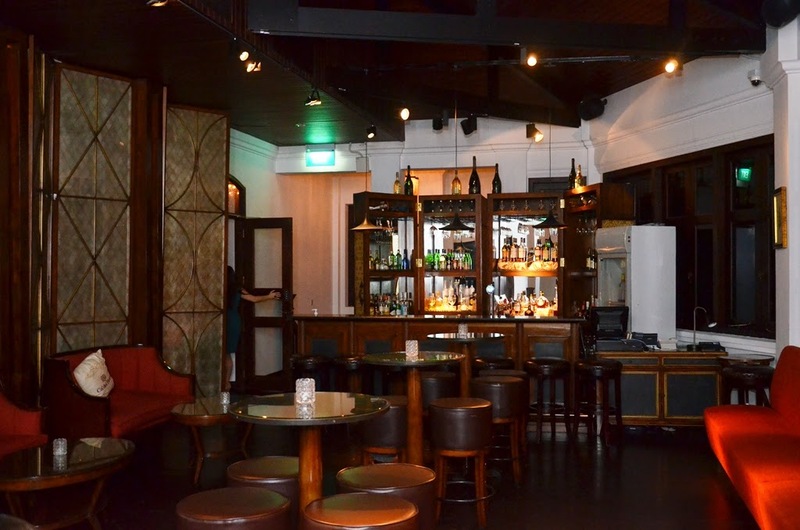 Expect to be pampered with some fabulous cocktails to kickstart your evening! When I am spoilt for choice, my number 1 rule is to go for the house's signature and there is no better cocktail than Alkaff's Potion, named after the restaurant. 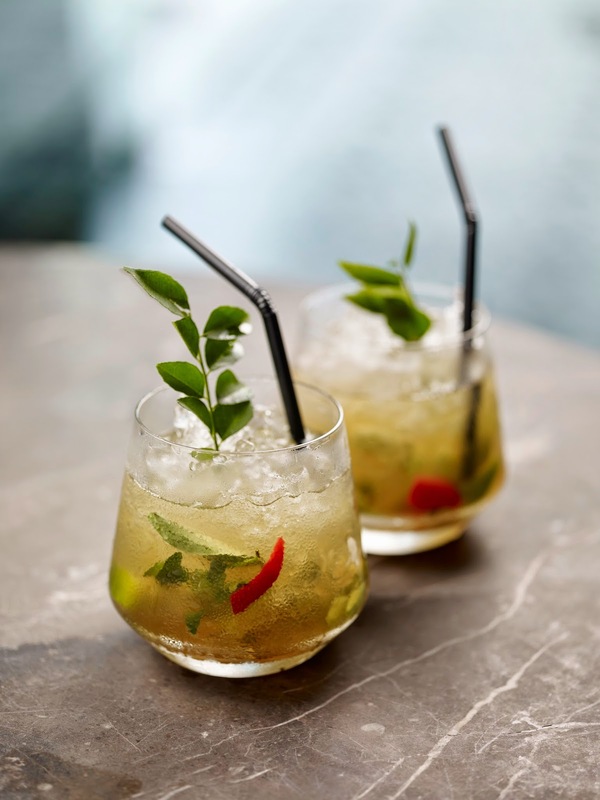 If you like some interesting and complex concoction, this barcardi dominated drink with lime, brown sugar, curry leaves and chilli padi would surely pique one's interest. 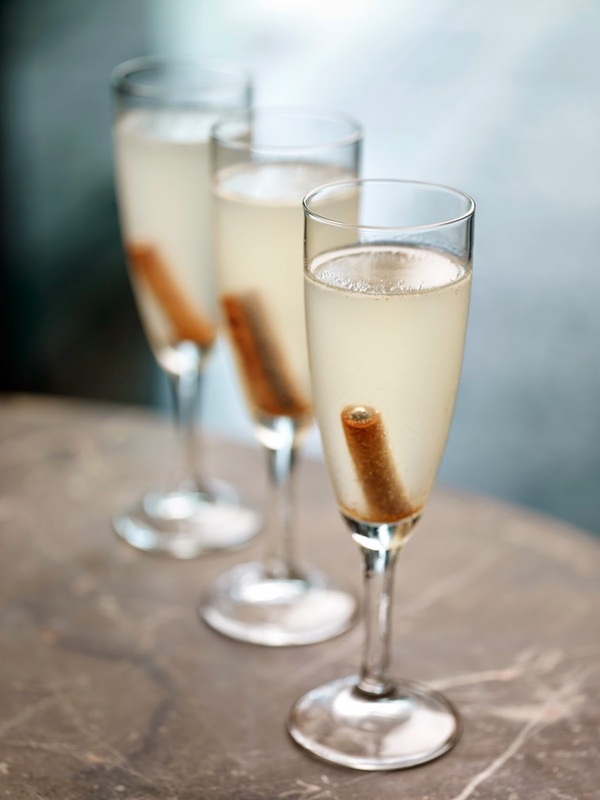 Feel free to let the bartender know if you prefer to be intoxicated with something more floral and this barcardi, elderflower liqueur, freshly squeezed lemon juice, gomme and cinnamon would be your glass for the evening. 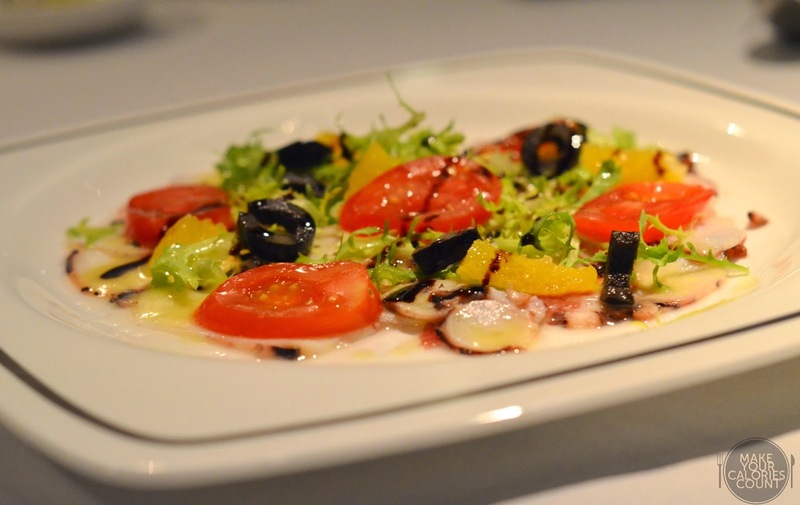 The lightly steamed Sardinian octopus was evenly sliced and decorated with San Marzano cherry tomatoes, orange wedges before being dressed with aged balsamic reduction. 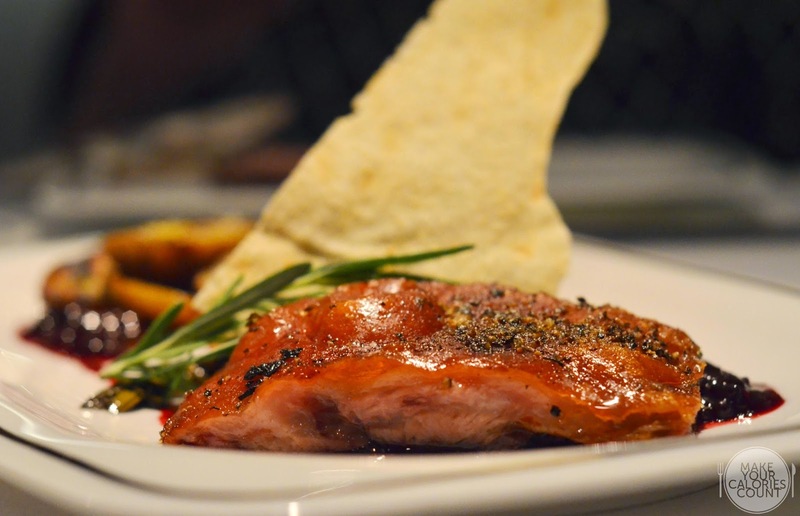 While the cherry tomatoes added natural sweetness to the dish, the balsamic reduction enhanced the flavours of the dish, balanced by the acidity and tang from the orange wedges. The octopus was cooked just right, retaining elasticity and chewiness with each bite. 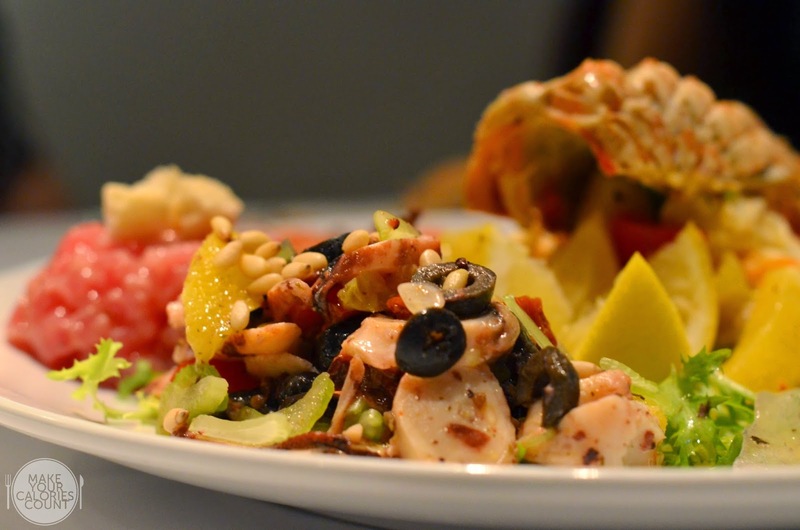 While the menu suggested that the seafood platter was for two to share, it could easily stretch to three parties if you are intending to try other antipasti. The succulent and plump tiger prawns and lobster chunks in a citrus dressing were favourites at the table while I enjoyed the tuna tartare most which had a nice crunch from the accompanying croutons. 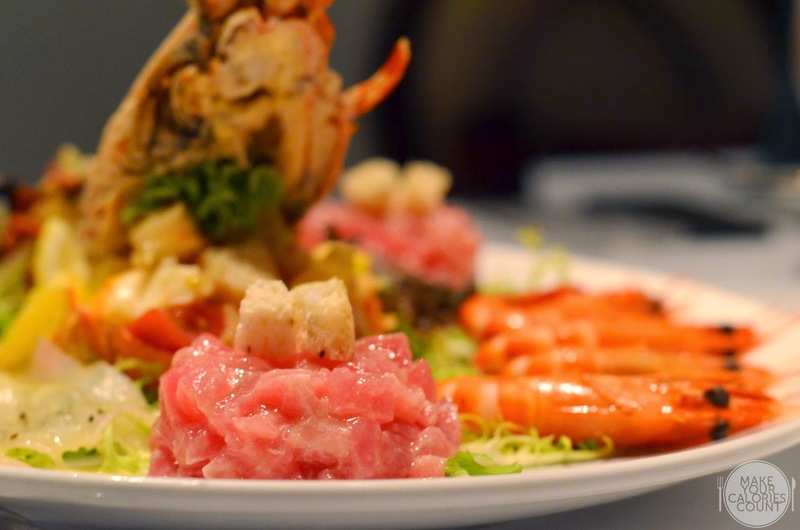 You know freshness is guaranteed when a restaurant serves up seafood such as sea bass carpaccio and tuna tartare. 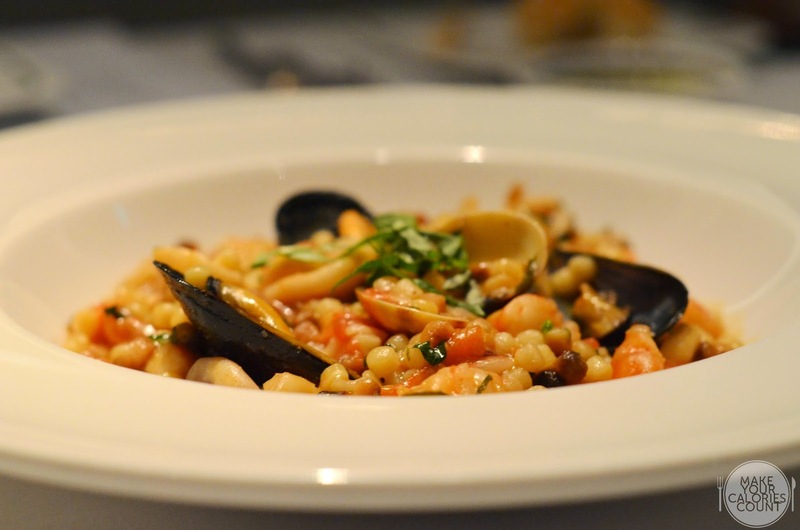 Fregola is a type of pasta from Sardinia which is no coincidence since that is Chef Dempalas' home province. It usually comes in varying sizes and is made of semolina dough rolled into balls 2-3mm and toasted in an oven. The coarse, purified wheat middlings of durum wheat which made up the Fregola added texture to each mouthful, almost like pearls in bubble tea (if that helps in providing some visualisation) While I enjoyed the tomato-based pasta dish, the diced prawn were slightly overcooked. Personally, I would have preferred it better if the seafood such as clams, squid, prawns and scallops were allowed to dominate in flavours. 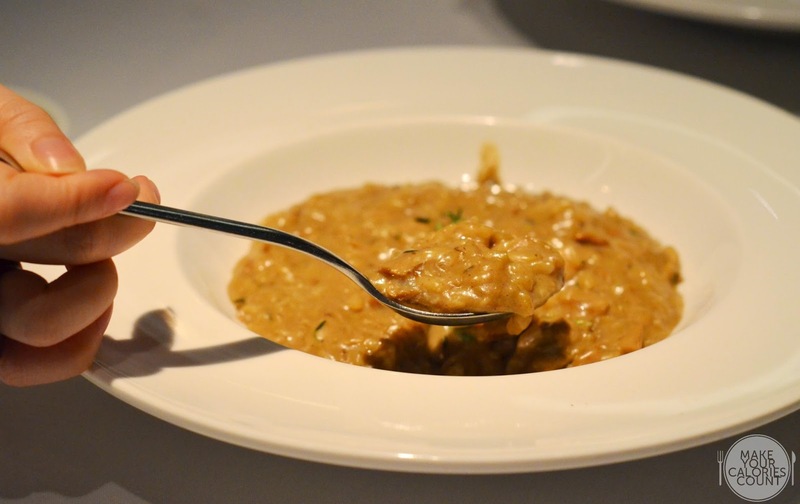 If you are a fan of Masterchef Australia like us, you would know that risotto is a death-dish for the contestants because it is a simple dish that involves perfect execution. The beautiful aroma from the porcini mushrooms was enough to whet anyone's appetite and while it is not photogenic, it was one of the best dishes of the evening. The Superfino Acquerello rice was cooked al dente but more importantly there was consistency in the cream broth. Reputed to be one of the best rice reserved for risotto dishes, the un-hulled grains were aged in temperature controlled silos for up to three years which allows the starch, proteins and vitamins to be less water soluble. This leads to improved consistency of the grains, enabling them to absorb more cooking liquid. This explains the slightly larger, firmer and individually grains which added texture in addition to the lovely bold flavours of porcini mushrooms. It is impossible for me to say 'No' to suckling pig with a lovely crispy skin and succulent meat. In fact, it is almost criminal in my book. Slow cooked for hours at 70 degrees Celsius in order to retain the moisture in the meat, the chef cleverly cranks up the temperature in the oven before service to ensure a crackling crisp skin to form. The added touch of salt on the surface surely help in drying up the skin for that guaranteed crispness. 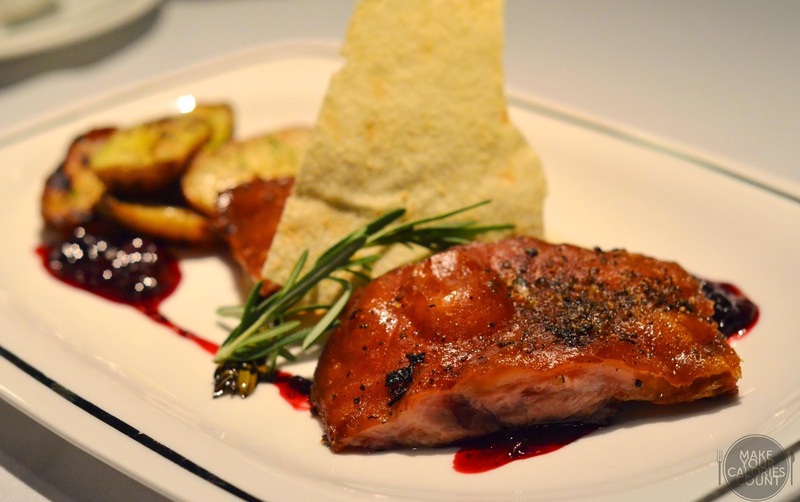 Paired with some beautifully roasted baby potatoes, it was that delicious homemade mixed berry compote that harmoniously brought the dish together to complete a wholesome main dish. 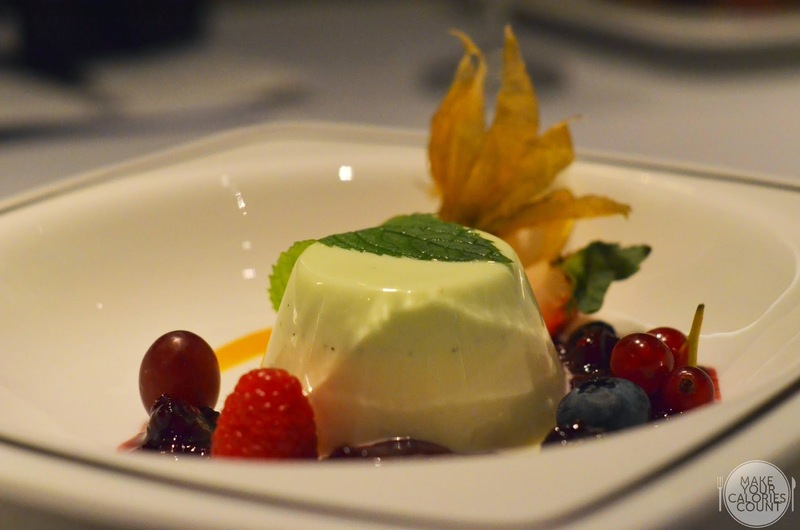 There is no better way to end an Italian meal with classic panna cotta or tiramisu. Having previously pampered with a spectacular rendition at Burlamacco, quite recently too, it was hard not to draw comparison. The texture of the dessert was spot-on, with a nice wobble with a tug of the plate. Almost pudding like, the richness of the panna cotta took over with its creaminess with a tinge of mint. While the addition of mint might have worked for some diners at the table, I prefer my panna cotta plain with vanilla and to be enjoyed with some fresh mixed berries. Quite a miss on this occasion for me when it comes to the flavours but the chef nailed the texture. 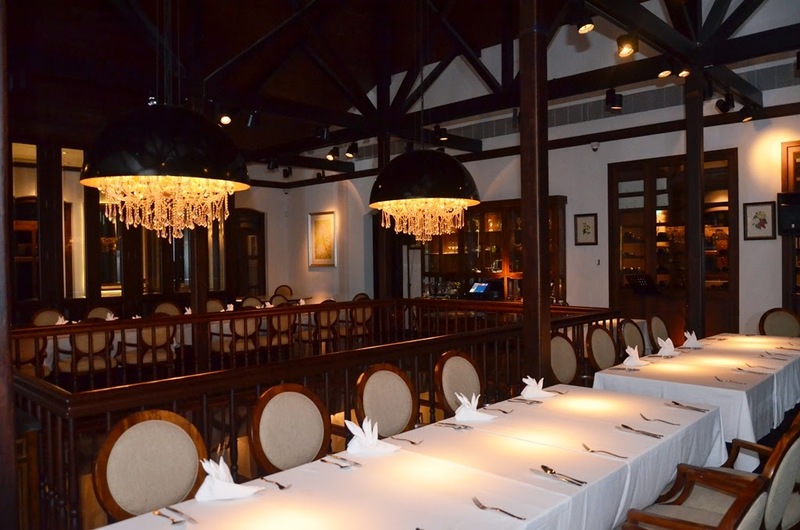 Full marks when it comes to ambience and service as Alkaff Mansion would be the venue to impress your date or a suitable quiet spot to discuss business with an associate or partner. It was always easy to secure attention from the service crew. 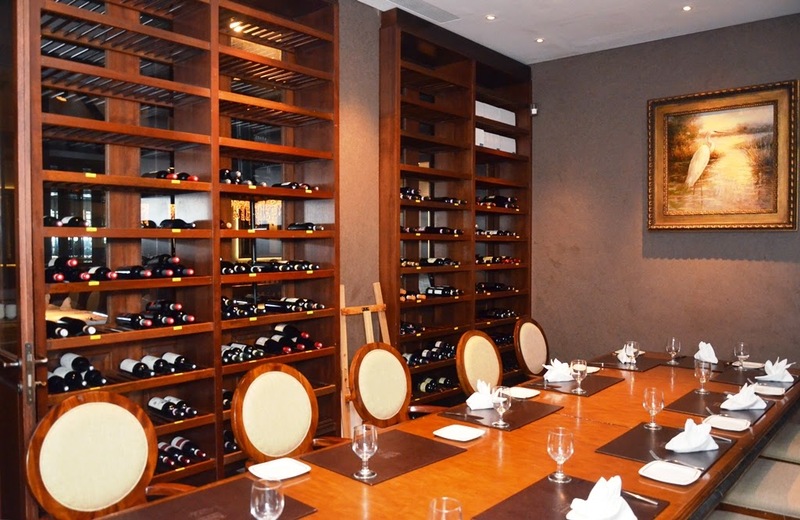 We were also taken on a tour to view the dining area on the upper level which included private rooms. One could not help but appreciate the intricate details that went into preserving this iconic building, such as the grand chandelier, classic furniture and paintings. 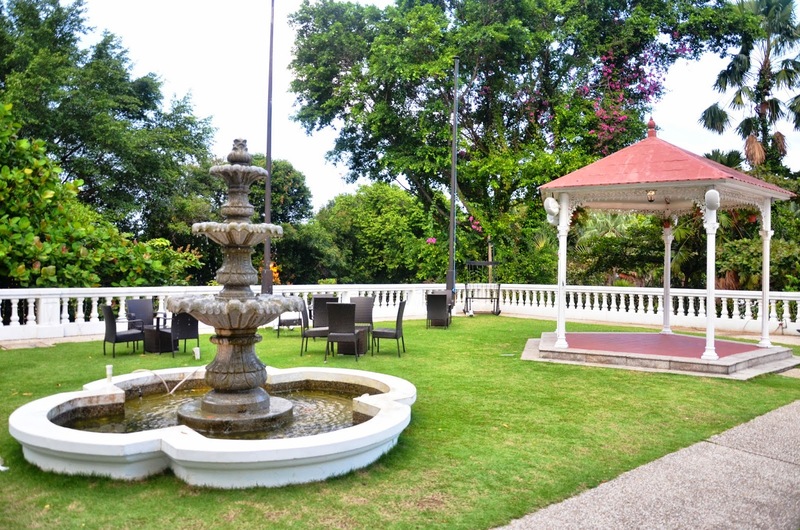 Apart from a very well-conserved interior, guests could hold events such as wedding parties at the Grand Marquee that can host up to 400 diners. 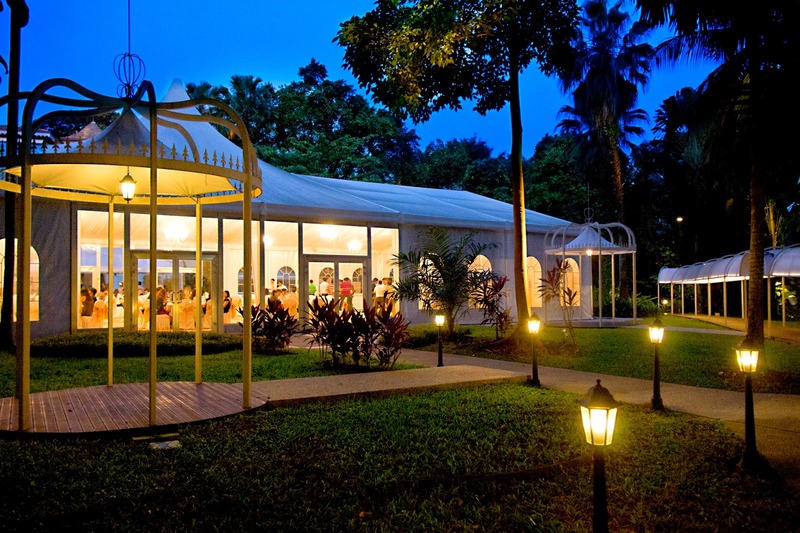 Fully carpeted and air-conditioned, it offers a truly customised soiree with the white canopy ceilings and regal chandeliers marking grand appearances to impress guests from all walks of life. Overall, Alkaff Mansion is truly one of the few impressionistic restaurant that would bring back fond memories and certainly offers much picture taking opportunities.While the location poses no problems for those with their own vehicle or taxi, assessing via public transport would be quite tricky as it would involve some 15 minutes of uphill walk from the nearest bus stop and the nearest MRT (Telok Blangah) is some distance away. Hits and misses on some of the dishes tried, though overall, it was a pleasant dining experience. P.S: Special thanks to Veronica and Alkaff Mansion for the tasting invite and showing us around the iconic heritage building!